From time to time I will be publishing pages from my various adolescence and adulthood sketchbooks (rarities from early childhood may follow, albeit within a separate category), without respect to chronology or thematic unity. The following happens to have been drawn early in 1996 at age 18. 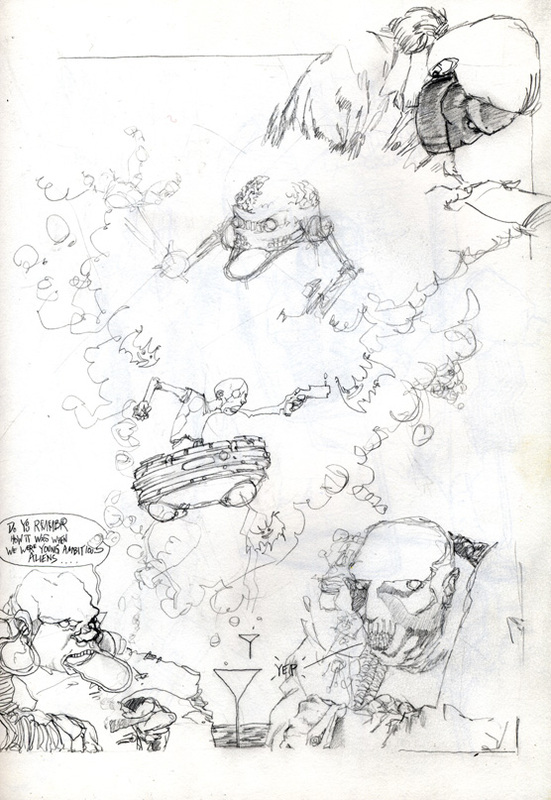 This entry was posted on Monday, April 26th, 2010 and is filed under Concept art, Sketchbook. You can follow any responses to this entry through the RSS 2.0 feed. Responses are currently closed, but you can trackback from your own site.